Want to make your UX and UI design projects a million times easier? Check out the smart UX and UI design tools that make tricky tasks a breeze to complete. Because so many of our business, social, and personal interactions happen online, quality UI and UX design is more important than ever. Customers expect to have a seamless experience on a company’s webpage. If they don’t, they’ll quickly move on to a different site and a different business. 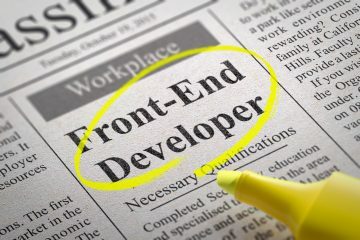 If you’re a smaller business or a startup, you may not have the capacity to hire a full-time, in-house UI design expert. But you can’t afford to fall behind on the design trends either. Fortunately, there are a variety of UI and UX design tools that can make projects easier for anyone to complete. You don’t have to be an expert to use them, but the end results will match the high-quality work of a design professional. Below, we’re reviewing the top four best tools for UI and UX design projects. Read on to learn more. Your website’s content is going to play a role in its overall look. A UI design tool like Type Scale can help you ensure that you design your content in a way that works for the best overall user experience. Type Scale lets you scale fonts and typefaces based on the needs of your unique website. With the tool, you also get a real-time preview of the text, so you can make a quick decision about whether or not it’s right, and explore different options if need be. Because design projects are so comprehensive, you want to be able to keep track of the work you’ve done and what’s left to do. UX Project Checklist makes it easy for you to keep track of your project’s progress. The tool divides its master checklist into 27 different sections, so you can be sure that you’re covering all your bases. Because web design is such a multi-step process, having a checklist tool can help you stay on track and make sure you have all the elements you need for a well-designed site. 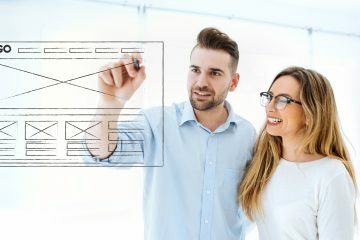 When creating a website with an end user–a customer, a client–in mind, it’s critical that you end up with a design that actually works for that group. UserTesting is a tool that gives you access to that critical feedback. By hiring qualified end users to review your design, UserTesting ensures that you don’t waste too much time and money on the wrong direction, and that your final product actually works for the audience you are targeting. Sketch is a well-known UX and UI design tool because of its reputation for being easy to use. Most of the same tools used in Illustrator are also used in Sketch, which makes the learning curve for the product significantly easier for users to manage. It also allows designers to create site layouts that work just as well on mobile as they do on web, which is critical since so many users will access your site on their phone. Ready to Explore UX and UI Design for Your Site? As a modern business, you can’t afford to have an outdated web presence. Your business success can come down to how easily a customer can navigate your site, which itself comes down to the quality of your design. For more information on how you can improve your site through UI and UX design, please contact us at any time.